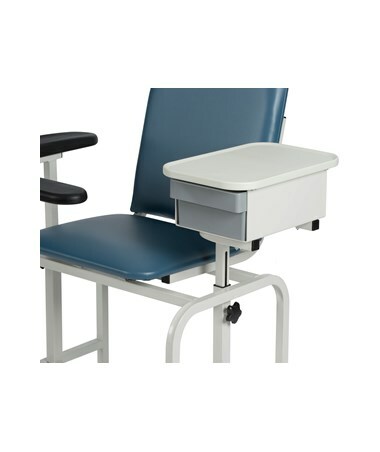 High Weight Capacity - 300 lbs. 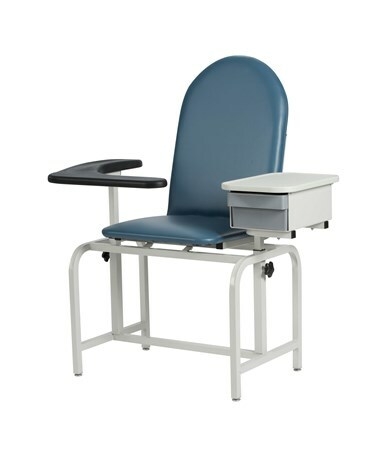 The Winco 2572 Blood Drawing Chair with Storage Drawer features a padded seat and back, adjustable height armrest, brand-new style drawer and laminated cabinet and sturdy leveling feet. 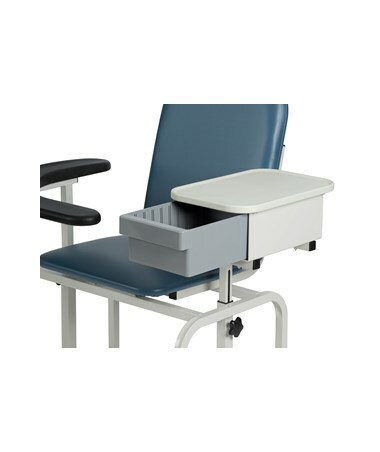 The Winco 2572 has a weight capacity of 300 pounds. 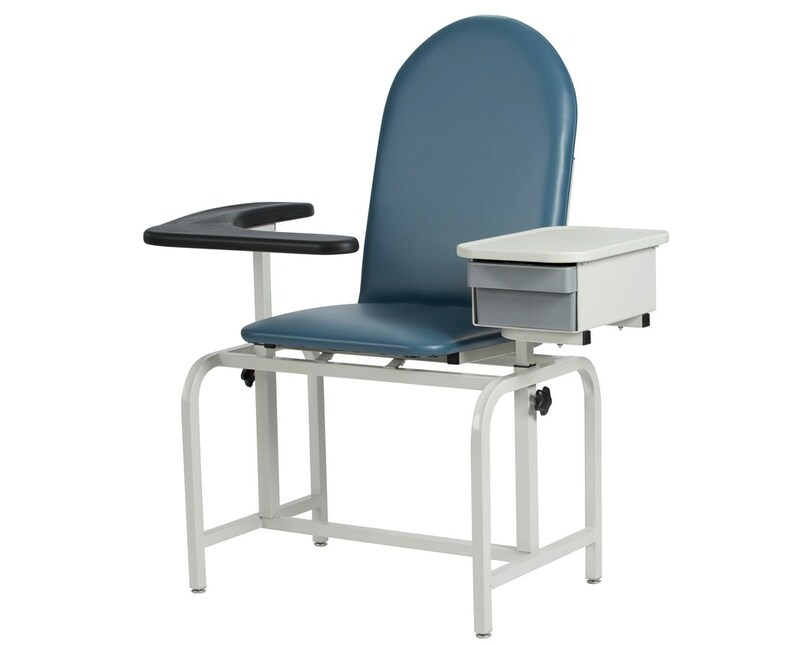 Winco's Blood Draw Chair is designed with a powder-coated steel frame, constructed for strength and durability. 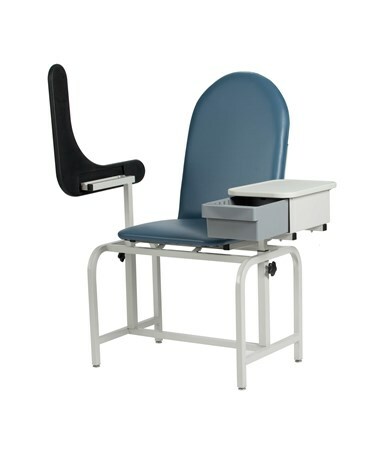 The 2572 Blood Drawing Chair offers a flip-up, contoured urethane armrest that provides easy access for the patient and added safety for the user.